In the last year, the country’s approach to plastic waste has changed dramatically, following greater media coverage and raised awareness of the potential environmental impact of one-use plastics. As a company, we provide and deliver a large quantity of bottled water which forms more than 60% of our business which is why this is such an important subject to us. With 36 million plastics bottles being used every day in the UK and only 58% of these being recycled, it’s so important that businesses such as ourselves are doing as much as possible to not only encourage consumers to recycle, but also by making it possible in the first place. As part of the UK Plastics Pact, led by Wrap, who organises Recycle Week under the brand Recycle Now, there are some key targets for improving the way the UK produces, uses and disposes of plastic to create a circular system that keeps plastic in the economy and out of the natural environment. We are proud to be prepared and well ahead of the 2025 target deadline for two of these key targets already. 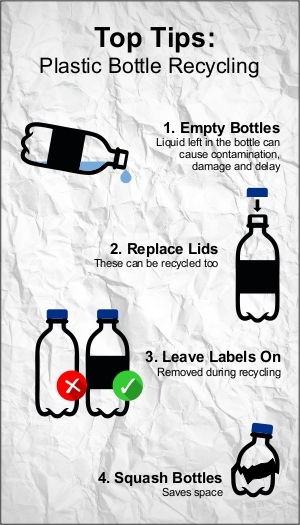 All of the bottles produced in our brands H2gO and Courtesy Water, are 100% recyclable which is a feature we have always felt is important and one that’s been maintained for a number of years. As an essential element of our business, that in part assists water utility companies with alternative supplies for customers during outages or interruptions, we want to ensure that we don’t provide products that can have a negative effect on the environment or the economy by ending up in landfills. 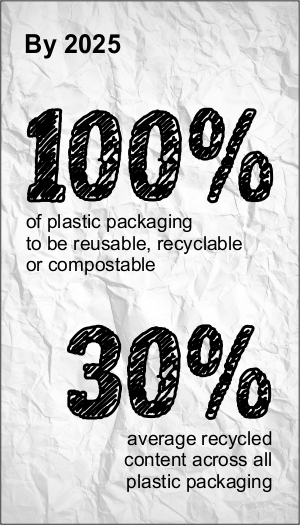 Making our products 100% recyclable makes it that much easier for the end consumer to dispose of them correctly and we actively encourage our customers to recycle. We now even offer Event Recycling Kits on our online shop for customers who are keen to be proactive in their recycling efforts. During the last year, we have been working closely with our producers to implement the use of recycled materials within the plastic packaging of our own branded bottled water. Two thirds of our producers are now in the process of moving to 50% rPET or more with the aim to have them in circulation before the end of this year. It’s great to be able to implement this so soon and we are continuing to work with our remaining partners to work together to make the use of rPET an achievable goal and to figure out a timeline of when this can begin to be implemented. What else are we doing to address the issues surrounding plastic waste?